Send this adorable token of your love this Valentine's Day. 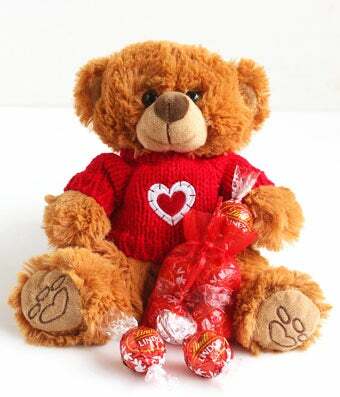 This super cuddly bear arrives holding a pouch of five creamy, delicious, milk chocolate Lindor Truffles which is sure to sweeten your recipient's day! Ships directly to your recipient's door.